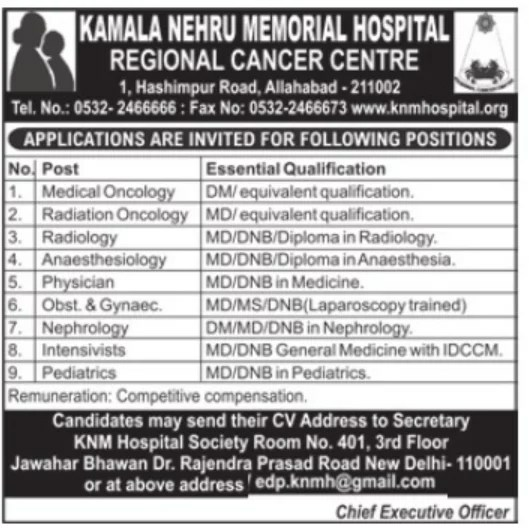 Kamala Nehru memorial Hospital, Regional Cancer Center has posted an advertisement for recruitment of specialist doctors in various departments. Applications are invited for positions mentioned below. Kamala Nehru Memorial Hospital, Regional Cancer Center, 1, Hashimpur Road, Allahabad – 211002.